Bay Beach Wildlife Sanctuary in Green Bay, Wisconsin is a beautiful setting, with animals to see and trails to hike on. One area contains a lake with waterfowl, mostly ducks and Canada geese. The first photo is of the cattails that grow along the edge of the water. 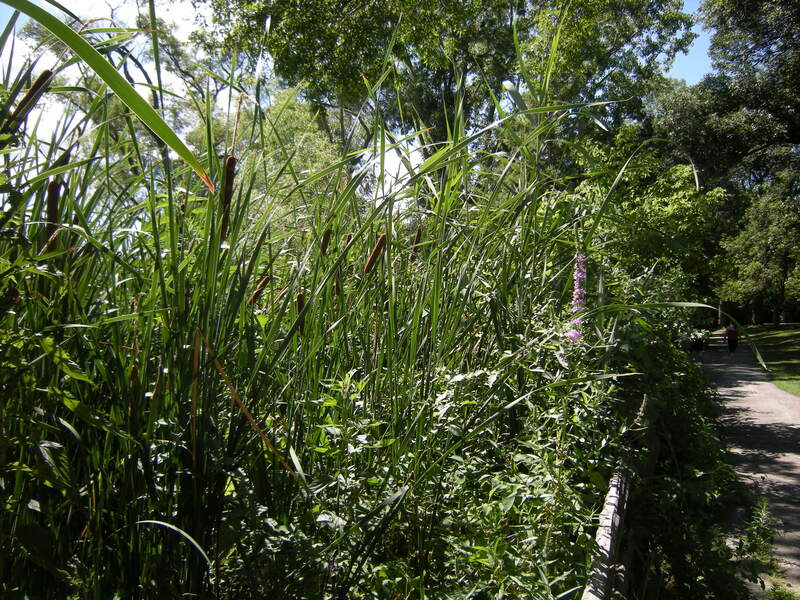 Cattails provide food and shelter and are an important part of the ecosystem which they occupy. The second photo focuses on the flowering plant that can be seen in the background of the first picture. 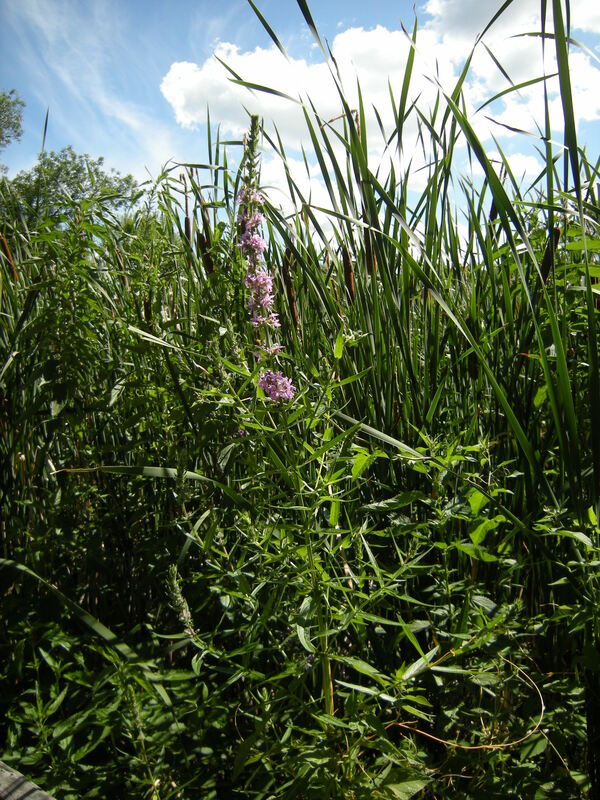 This plant is called Loosestrife, which is an invasive species and rather aggressive. It has no value in this ecosystem and park personnel fortunately keep it in check. Although it has pretty flowers, it does not provide the ecosystem’s fauna with food or shelter.